Since each chapter was originally written “independent” from one another, the book can be read in any order, although it makes more sense to begin on the first page, as the reader will witness in the subsequent chapters a continuity and deepening of thoughts progressing from the original love-letter. This book provides a solid introduction into the spirituality of the United Hearts of Jesus Christ and the Blessed Virgin Mary – the Sacred Heart and the Immaculate Heart – the Two Hearts of Holy Love and Divine Love. The heavenly messages relied upon by the author may or may not be approved currently by the Catholic Church. However, the author believes in the genuine authenticity of the heavenly messages provided in this book, which has come about through much prayer to the Holy Spirit. All graces given by the Holy Spirit to the author are unmerited. The author offers this book as a continuation of these graces so God may bless others as the author has been blessed. Although this book is written by a Catholic Christian, the intended audience is for all peoples of all faiths and non-believers. It is the sincere hope of the author that all readers will be inspired by the spirituality contained within the book’s pages, which the author believes comes directly from God’s Own Paternal Heart. Readers are invited to visit the author’s blog, www.MaryRefugeOfHolyLove.com to learn more. It is with all my love and best wishes in Our Lady that I send you my greetings from my own heart. May you all be embraced and captured today by the Divine Love of Jesus Christ, Our Lord! May His Most Sacred Heart beat in time with yours in the fullness of unity with the Immaculate Heart of Mary. I pray that waves of this unified love spread outward, like a pebble so placed in a constant stream of brotherly charity, to all of humanity! May God bless you ever-abundantly in all the consecrated good work that you do for the Kingdom of God! God bless Medjugorje! I write this letter to you all, all in charity and in deepest hope, that you will take my words into your own hearts, for fruitful consideration and sincere discernment for the truth. And whatever happens, may God’s Divine Will be done on earth as it is in heaven! I write to tell you about two of the greatest graces of my life. The first grace is a blessing that you all are familiar with—that of Our Lady of All Grace, Our Lady of Medjugorje. I am but one of the countless millions that Our Lady has brought back home to the fullness of the Catholic faith. I thank Our Lady, all the angels and all the saints, and my brothers and sisters in Christ on earth, who prayed for me in many countless ways for conversion of souls. Thanks Be to God! The Almighty has done great things for me and Holy Is His Name! It is called “Holy Love Ministry,” (holylove.org) and is a holy ground that heaven has chosen to spread timely messages for our generation and future generations. I am not associated in anyway with Holy Love Ministry—they do not even know that I am writing this letter—my sole witnesses being heaven—and I am only a mere follower and lover of Our Lord—who is trying her best to fulfill His Divine Will on earth. Yet, it is for this “motivating factor”—the salvation of all souls—that compels me to write this letter now. It is only for love of them that I am reaching out to you all as you outreach to others Our Lord’s Great Love for each of us here on earth. As you know, Our Lady comes to Medjugorje heralding the future coming of Her Son, providing monthly medicinal messages for the healing of all nations and people—for so many have become sickened in their souls to the Truth and Love of God. And along with Her words from heaven, Our Lady also seeks to prepare the world for 10 Secrets—the first three being warnings to the world as a call for repentance and conversion; and the remainder being a series of chastisements—the last two being particularly grave. Why am I writing this letter? It is because I know in my heart that the Three Warnings, provided for by God, will shock the conscience of humanity. One of the warnings might be the foretold, “Illumination of Conscience,” (Our Lady of Garabandal) and my own heart grieves for so many souls who may wander and become lost afterwards. But what of the others? The ones that lack the means to the Sacramental Grace offered through the Catholic Church… Our Lord died for them, too, for eternal salvation is offered to all. How are we to take care of the spiritually poor, the least of our brothers and sisters? Even once leaving the confessional, the real work begins as all people will need concrete tools on how to rebuild their lives. So many people will hunger for any information—a lifeline—that they can grasp onto that will give them any real reason to live justly for their future. They will need a positive and sustaining message to continue to hope in God and to live for Christ, not considering themselves a lost soul to the darkness. How has Our Lord provided for this response from all of humanity? It is the Message of Holy Love. It is the path as instructed through The Chambers of The Most Sacred Heart of Our Lord. It is the revelation of The United Hearts of The Most Holy Trinity and The Immaculate Heart of Mary. The messages provided through Holy Love are universal and ecumenical. While appropriate for Catholics, the Message of Holy Love is not only limited to Christians, but embraces the whole world. By leaving all past moments to Divine Mercy and all future moments to Divine Provision, Jesus calls all souls to focus on love and humility in the present moment by climbing the stairway of holiness virtue-by-virtue. It is in learning this eternal truth—the true value of each present moment—that humanity will have hope again and not despair, as every soul will refocus and entrust their lives entirely to God and His Commandments of Love. Accompanying this letter are two identical packages containing the “most sublime teachings” of the Catholic faith that I have ever encountered. I offer them to you as the most precious gift I can give to you, my dearest brothers and sisters in Christ, for your own salvation and the salvation of the world. All I ask is for your thoughtful prayer and sincere discernment as you read the enclosed jewels. Truly, as I read the Messages of Holy Love, each one caresses my soul in such a way that it causes my spirit to sing in response and soar to ever greater heavenly heights. I feel within myself the flame of love become ignited as my heart desires passionately to be united to the Eternal Flame of Divine Love. My only desire then becomes to plunge forever deeper into the Divine Will of God. It is said that the highest possible gift in the world is PEACE. But, not a peace as the world knows it, but a heavenly PEACE that takes place first in the quiet of the soul. PEACE that is a surrendering to the Divine Will of the Father in each and every present moment. Our Lady comes to Medjugorje as the Queen of Peace in order to offer the world this PEACE of Her Son, the Prince of Peace. It is in prayer that the Blessed Mother asks each of us to come to a deeper understanding of Her coming for this day and age. Our Lady at Medjugorje has expressed to us that she wants us to be Her “extended hands” in this troubled world. That She “needs” each of us and that every one of us is very important to the fulfillment of God’s Plan. That She even desires to “collaborate” with us, especially in spreading Her messages to the entire world. Truly, [unnamed party] is a “chosen” people, commissioned especially by Our Lady, for a very special role and mission—to be an example of the loving future provided for by Our Lord and to be a “lighthouse” for those souls who wander in the darkness of sin. For many years, [Unnamed Party] has been blessed abundantly by Our Lord; and yet, could there be even more blessings and great graces ahead? [Unnamed Party] has written that its charism lies in the promotion of Our Lady of Medjugorje. That, in Medjugorje, lives special and unique graces that are unmatched at previous apparition sites. Truly, these statements are fact. Yet, I challenge you to realize, discern, and contemplate, soaking in this very beautiful Grace-filled revelation for yourselves, for truly, if it can be said that Medjugorje is the fulfillment and completion of Fatima and all Marian apparitions throughout the centuries; it then follows that the Messages of Holy Love are the fulfillment and completion of the Sacred Heart and Immaculate Heart revelations and devotions throughout the centuries. Coupled together then, both Medjugorje and Holy Love ARE the Desire of the Divine Will of God the Father for His Great Plan to unfold on earth. On the night He was betrayed, Our Lord spent His final hours absorbed in intense prayer. Sweating His Most Precious Blood, Our Lord prayed for the salvation of His people and that they always remain unified in His Love and in His Truth. Yet, despite Our Lord’s earnest pleas to His Heavenly Father for the unity of His Body, we have witnessed throughout the centuries this unity on earth be attacked and slowly whittled away, resulting in factions of disharmony, doubt and confusion among the flock. Clearly, the Present-Day Church is in Her Passion Hour. Even among those closest to Our Lady’s Immaculate Heart, disunity, misunderstanding and confusion, appears to rear its ugly head. Christ prayed and suffered for unity of His Body. For His Father’s Kingdom to come here on earth. Oh, my dearest brothers and sisters in Christ, how Profound is the Love of Our Lord for each of us! For rather than forsake this most sinful generation to the forces of darkness and the antichrist spirit, Our Lord chose to Love above all else. Instead, He prepared His Most Beloved Church for this most difficult and decisive time in human history. For two thousand years, the Church Militant, the Church Suffering, and the Church in Heaven, have been praying in unity for now, this time, this day and age, for the greatest battle of souls! How staggering a proposition! How awesome a Love! Then who am I? I am but a mere follower and lover of Our Lady. Could the mission of [Unnamed Party] be even grander than one has even imagined? I pray for your discernment as you pray to do the Will of God in all things. Please remember me in your prayers. PEACE be with you, my most cherished friends. therese of lisieux, known for her “little way” to heaven, once said that she wanted to shower the earth with roses. the rose, her calling card, usually accompany a miracle that is granted through her intercession. but, little did i realize when i began my own path to heaven, that we are the roses that this great saint once spoke of. because more beautiful than any earthly rose, is the exquisite rose of our spiritual hearts, our own souls that glisten in the misty dew of dawn, embraced by the shimmering rays of the morning star. Our Lady is called the “Mystical Rose.” it is because She is the crowning jewel in God the Father’s heavenly garden. a loveliness in purity and perfection that is beyond our fullness of understanding on this side of heaven–the Eternal Father’s supreme delight. and yet, each of us are a uniquely special creation and joyful delight to God’s Paternal Heart. we are His children. we are loved. the Immaculate Heart of Mary is typically depicted being embraced by a crown of white roses. could this be because we are called also to embrace this dear Mother as Her own children, born anew in precious purity and radiant holiness, in imitation of the great Mystical Rose, Our Queen in heaven? the Blessed Mother brings us to Her Son. through Her freely given ‘yes’ is our salvation born in Her Son. but Her ‘yes’ cannot be limited solely to that particular moment in time, no, rather, She said ‘yes’ every continual moment of Her life. She gave and loved beyond any other created being ever has or ever will. for, in Her continual ‘yes,’ to God, She loved every human being that ever lived. devoid of any self-interest, She saw with true wisdom the entire family of God in Her Heart, loving completely those who had brought Her to life in Her time, and then She carried that love for humanity into the future, loving every generation who would walk the face of the earth. the Mystical Rose, Our Queen in Heaven, Our Dearest Mother. oh, how i long to embrace this most tender of mothers, both in gratitude and love for the precious gift of salvation She gave me through fulfilling, in the most perfect way, all the desires of God the Father’s Divine Heart for humanity. and yet, i know that i can embrace Her before my appointed time, by welcoming Her presence always in my own heart. i can give to Her all that i am today, to be recreated and molded into Her total image of Love. in doing so, i join my own little heart to Her Immaculate Heart which forever beats in time with the Most Sacred Heart of Her Son. a spiritual trinity of Hearts then, held together by the Eternal Flame of Love, the Holy Spirit, plunged deeply in the Divine Heart of the Beloved Father. as one walks the pathway of love, one realizes the so very precious jewel that heaven offers and beckons to each of us in Holy Love. a love that is called to be ‘set apart’ for God’s own intentions, a Holy Love that is found in and through the Immaculate Heart of Mary, which points the way always to Her Son. as we willingly step into this Holy Love, the Sacred Chambers then open up more freely to us, laying bare and wooing us constantly, desiring at all times, to compel us forward into a deeper, more penetrating, more perfect love, that reveals at its heart, a complete and total surrender to the Most Divine Will of the Father. the Chambers of the Most Sacred Heart. standing at the antechamber of Holy Love, oh, how i long to progress further and be perfected through such a beautiful mystery that can only be recognized as the unity and fullness of Truth–a mystery and a revelation so sublime that it resonates and speaks to the very core of my being, my soul. let me be Your rose, sweet, dearest Mother. let me be that seed that waits in stillness of winter, dying to itself in springtime, in order to be transformed and reborn as a beautiful budding rose, that awakens in the fullness of the Light. let me face the heavens, as the Father smiles down on me in pure delight. let the rays of His Son melt upon me as the breeze of the Spirit lifts me up, glistening in the dew of a Mother’s sweet tears. let me be perfected in a love that has no bounds. i desire this. i want this. i need this. let my every breath, my every movement, my every heartbeat, my very being belong to the United Hearts of the Most Holy Trinity and the Immaculate Heart of Mary. may i always love You! She is the Immaculata and IS perfect love. it brings tears to my eyes, to even contemplate the love of Our God between Himself and His most beloved creature, the Blessed Mother. how passionately Their United Hearts must beat together as One! and when God chose the shades of the rose, they were to reflect the beauty of Her cheeks. like the moon is to the sun, She reflects the perfect love of God to all of us here, Her spiritual children. and when i think about how unfaithful all of us are here on earth, i am always reminded of the Blessed Mother and Her great love for God. and i thank God for blessing us all with such a sweet and tender Mother to have and hold in our hands always. i thank God so much, that out of all of Adam’s unfaithful offspring, at least one of us succeeded in capturing the crown of virtue, the Loving Heart of God in All Its Totality. that one of us remained ever faithful to His commands: to love above all else, God and neighbor, the two greatest commandments. the Blessed Mother gave and gave and gave all of Her Heart to us all. She loved and loved and continues to love. Her free will “Yes”–the Fiat–permitted God to Incarnate as Man, to save us all. and She kept saying “Yes” every moment of Her life–Yes to love, and Yes to all of us here. and She forgave every one of Her Son’s persecutors, completely in Her Heart. She, the Sinless One, forgave each of us for our sins. She loved, as no other person ever has, or ever will, God and all of humanity. in Her alone, is God’s crowning jewel and perfection reached for all humanity. for, if all the human race is the perfection of creation, the Blessed Mother is the perfection, the “par excellence,” of all the human race. to Her alone, God manifested all His Glory. to Her alone, She is the Queen of All. oh, how i love Her, the Blessed Mother. thank You, Blessed Mother, for being the hope for my salvation. thank You, Blessed Mother, for thinking of me and remembering me at Your “Fiat” and in every Yes, You said throughout Your life here on earth. thank You, Blessed Mother, for succeeding for where i failed. thank You, Blessed Mother, for Your love for me, both now and always. thank You, Blessed Mother, for Your great love for each of us, from heaven. in countless times and in countless ways, You have blessed us and saved us time and again, from the folly and madness of our own sin and self-destructive ways. when You come to Medjugorje every day, You bless the world and each of us, with Your presence. by Your presence alone, walking on the earth, You save us from the wrath of God’s impending judgment on us all. Christ looks at the tears in Your eyes, as You gaze from the earth to His Throne above in heaven. and in Your sweet fragrance, the prayer found in the beating of Your Heart in unity with His Own Heart, the Mighty Arm of God is stayed one more day from striking us here. You appease the Great Divine Heart of God, which is so sorrowful at our sinful state in the world. our “borrowed time” is Your time, sweet Mother. in the beginning of the new age to come, the Great Era of Peace, the Age of Mary, let each of us walk with You, dear Mother, each day, shining one soul at a time, in a wave of holiness that envelopes the entire world and captivates it in total love of God. let each of us be recreated in Your image, sweet Mother, so we can be the perfect disciple of Your Son, Jesus. take all of our prayers, petitions, tears, sacrifices, sufferings, failures, triumphs and joys. purify and perfect them in Your Immaculate Heart. and present them all at the Feet of Your Son. oh, Blessed Mother, continue to love us, Your spiritual children. pray for us, sweet Mother. oh, how i love You! God bless the world, through the Immaculate Heart of Mary, through His Mother. God bless us all. amen. “…i know that i have wondered this with you before, but i wonder if God sings? …that in one very moving moment, Jesus and His Father began to sing a beautiful love-song Together that the Holy Spirit has been carrying ever since. a note that became a melody that harmonized us all into being. i hope that Jesus sings. and that His Sacred Heart beats in time with every note He sings, so that all of Creation is forever in tune with His Mind, His Heart, His Love. if Jesus does sing, i wonder if all of Creation pauses to hear Its Creator sing? Jesus has been so very good and generous to me. He inspired me to liken the Divine Will and the Divine Love of God to a great symphony. So, I have been enraptured in these heavenly thoughts for several days. I have learned that every prayer, every sacrifice, every virtuous deed, every gift of every precious moment of time given over to Our Lord and Our Love becomes a great symphony that Jesus listens to at the end of our lives. And as each loving note is played before Our Great Love, the notes beat together like the sweet rhythm of our own hearts. Heartbeat-to-heartbeat, each loving note comes together until they beat in total and complete unison with the Eternal Heartbeat of Our Lord’s Most Sacred Heart. One knows, through studying the Holy Love messages, that the goal of all mankind—the reason why every person was created on earth—the fulfillment of the Eternal Father’s Divine Plan and the Desire of the Eternal Father’s Divine Heart for all humanity, is for each soul to be immersed in the Divine Will of God in the Highest Heaven. I have learned that the Divine Will and the Divine Heart of God are inseparable and indivisible. They are ONE because God Is ONE. God Is ONE Love. ONE-In-Three Holy and Divine Persons: The Eternal Father Loving The Divine Son Loving The Eternal Father In Agape Love, The Holy Spirit. One In His Divine Will. One In His Divine Love. One In His Most Sacred Heartbeat. One In His Most Sacred Heart. At Holy Love, Jesus has laid bare the Sacred Chambers of His Divine Heart for all of humanity to see. His Most Sacred Heart is an open wound of Love that calls each us to assuage. It is up to each of us then to recognize this Holy Path—the ultimate spiritual journey—that He is beckoning each one of us individually to undertake. One singular moment of perfect love. A moment of perfect love for God and neighbor. A moment of perfect selfless love. One singular moment of perfect love that casts out all fears. Including the greatest fear of all—death. A precious moment in time, in which I can reflect upon in praise for all eternity, having loved in imitation of the perfect love that the Blessed Mother has always had for Her First Love, Our Lord. How blessed is Our Sweet Mother! One singular moment of realizing the Love of Christ in me. One singular moment of His Most Sacred Heart having beat in union with my own heart. Such an exquisite state of ecstatic love that would be, so much so, that my soul would take immediate flight to My Love in heaven. This is my life prayer. A sweet moment when I will realize that all I could have ever dreamed and prayed for in my entire life is answered. As I realize fully my own human potential and the reason for why I was created by Our Father. A sweet moment when I realize completely that The One Whom I love with all my heart, all my soul, all my mind, and all my strength, Loves me back. My heart in His Heart. My love in His Love. My Soulmate and My First Love. My God. Sometimes, I imagine my final moment as one being perched on a high precipice. And so, at the moment that I deeply inhale and exhale my last breath, forever mingling with the Breath of Life, The Holy Spirit, I step off the ledge, walking forward in the hands of Our Blessed Mother, rising to the miracle of new life in Our Heavenly Father, while I fall forever in love with My Savior, Jesus. Caught in, surrounded by, and destined for Absolute Love. So that, in my final moment and in my final state, my soul plunges deeply into The Divine Heart of The Eternal Father—The Highest Heaven and The Sixth Chamber of Holy and Divine Love. An abandonment. A total surrendering. A complete trust in The Object of My Love that He will save me in the end. My God. My Love. Embrace me in Your Arms! Oh, how much I love Thee! You Are The Center of My World! Hope. Faith. Love. Only love remains. Love IS the soul in the end. The Eternal Exchange of Divine Love between The Father and The Son in The Holy Spirit. The Life of The Most Holy Trinity from eternity into time into eternity. Christ. His Birth, His Life, His Death, His Risen Life. Anticipation for The Moment to be fully lived. The climax of a great love-song. Decrescendo, crescendo, a crescendo. In imitation of My Love. When I first converted to the Catholicism of my childhood, oftentimes, I would be overcome with tears of thankfulness for all Our Lord has done for me. And in these sweet moments, I would have a strong desire to give to Our Lord a “gift” to somehow show Him my total and complete gratitude for His Love. I would think to myself how marvelous it would be to search all of Creation every year for the perfect flower—to represent all my love for My Lord—and to present it to Him at His Throne every Easter in heaven. And I would fancy this thought often, thinking if I just found that perfect flower, how delighted My Lord would be in this thoughtful gift. Then, as I progressed along in my faith, I learned that the perfect flower that I was envisioning to present to My Lord every year was, in fact, me. St. Therese of Lisieux, “The Little Flower,” is a special and dearly loved saint of mine. She taught me through her writings that each of us is a flower in the heavenly garden of God the Father. She taught me that each soul is an exquisitely perfect creation in its own right. Forever unique and precious, I learned that each of us holds a special and irreplaceable spot in heaven. Called to be a beautiful flower—whether a rose, a tulip, or a carnation—together as the family of God we give forth the glory of The Lord and bring fragrant delight to His heavenly garden. And so, often I would pray to my elder sister in love, St. Therese, that she would obtain the graces that I would need to become the beautiful flower that God desired me to be. And knowing myself to be unworthy of being the lovely rose, I prayed that I would become at least a dandelion in the heavenly garden… Which I learned then to be a weed, but I asked pardon from God for my ignorance as all creations of Our Lord are made to be good and beautiful in His Holy Sight. St. Gemma Galgani, “The Passion Flower,” is also a special and dearly loved saint of mine. Considered a “super-star” in my eyes, I know and believe that she prays for me all the time in my continual conversion to Our Lord. Her brief and delicate life has shown me how to live in love of Our Lord amidst the darkest of temptations. And I thank her with all my heart for loving me always in her prayers. And so, one day in prayer, I asked my two elder sisters in love, St. Therese and St. Gemma, if they would honor me in my heavenly request of searching with me all of Creation for the perfect flower each year to present to Jesus for Easter. Because, even though I knew it to be true that Jesus desired me to be that perfect flower, I could not see myself as aspiring to be nothing more than a poor dandelion (a weed). Well, then I had the heavenly thought that rather than assuming the role of a poor dandelion for all eternity, that I should think of myself as a “wildflower” in Our Father’s garden. And this, I could accept for myself. Me, the wildflower… A wildflower of God. It is easy for me to think of myself as the “prodigal daughter” of Our Lord. Truly, my faithfulness and fidelity have been tested countless times. I am an imperfect being. I have stumbled and fallen on the road of life far too frequently… But, the one thing that I am certain of, is that despite my inadequacies and weaknesses, I can be perfected in Christ, My Savior. I am certain because I have His Promise in His Word and the living record and testimony of His Beloved Saints in heaven. I want to tell you, my beloved family, that since my last writings to you, I have been heavily persecuted by the evil ones around us. I became ill physically and experienced extreme mental torment. I had to take a medical leave from my full-time job and lost my spiritual compass towards God. I slipped and ultimately lost my footing on the sure and narrow path of Jesus. A person of simple prayer, I love to sing to God for many hours a day in my alone time with Him. But, the music of my heart died and I could no longer sing or listen to sweet love melodies made for My Savior. And tired. So very, very, very tired. Of fighting the “good fight” again. I wandered. I truly abandoned God in my soul. But, unbeknownst to me, many people were praying for me—many of whom who did not know that I was struggling spiritually and had abandoned God. Many people prayed. Prayed when I did not for myself. And from these ashes, God resurrected a miracle of life again in me. He brought me back from the dead. One, I know God exists and His Name Is Jesus. I know this to be The Truth with absolute certainty—I have had too many supernatural occurrences in my life to deny the existence of God. It would be like denying the air that I breathe. And two, I promised God eight years ago when I returned to the faith that I would persevere—if not for my own salvation, but for the salvation of all the people who prayed for and continue to pray for me. Eight years ago, when I converted to God, I saw with spiritual eyes the direction that the world was headed in and how lost the world was without The Lord. I saw with spiritual eyes the people that I loved—my family, my friends, everyone I had ever known or would know in this life, and it moved my heart. I recognized that many people—many of them unknown to me—had prayed for my salvation in God. From the countless rosaries from little old ladies, to the prayer circles of all good Christian souls, to the simple “God bless you” by a stranger on the street—all of this prayer had converged for the special moment in my life when I would finally return to God—my own fiat. And I was so grateful. To everyone. And so then, I recognized that it was my turn to pray for them and everyone that God placed—graced to put—in my path throughout my entire life. It was my turn now. There are people in the world—some of whom I may never personally meet or know in this lifetime—who are not going to make it to heaven without prayer from me. My prayer to God IS important. Human souls are at stake. And so, once again, God reminded me of my promise eight years ago to persevere, as He has time and again when I am falling away from Him. And this simple quote has been a bit of inspiration for me in my adult life. Especially meant for those moments when I needed to be “lifted up” by A Power Higher than myself. I have never thought of myself as a courageous person. By nature, I avoid “extreme things.” But, I have realized that I do not have to be a police officer or firefighter or something similar in life to be considered courageous. Rather, I only need to have courage at the moments when it counts. Courage can be found in perseverance. Courage is found in persevering in our universal faith. I am a courageous person by grace. All Christian souls are—we must not forget that and why our prayer is so important. Especially in today’s age. I am a wild child—a wildflower of God. Being perfected by His grace and by His Love each day. In fact, we all are flowers—little flowers of God’s Glory and His Goodness. Being nurtured by His grace and His Love each day to blossom in the fullness of His Light in heaven. And in particular, we all can be considered a wildflower of God. Because each of us has unique vulnerabilities and difficulties in life that, if we overcome them, become the unique beauty of God’s providing grace and a testimony to God’s Heavenly Glory. One, will I fall again? Will I be attacked in fury by the evil ones who desire to stop my love-letter writing? Will my unique spiritual weaknesses be challenged again, in such a crippling way, that I can no longer continue? Jesus is calling me to trust. To surrender to Himself and His provision. To not worry about a potential future that has not happened and may not ever happen to me. To live in the present moment of grace, in the fruit of love and trust in God—as He tells us to do so, through The Most Sacred Chambers of The United Hearts of Jesus and Mary. I am not perfect and I do not have perfect discernment. But, by what I lack in myself, God provides for the remainder. God provides, not me. I have many hopes, my dearly beloved brothers and sisters… I hope that, despite my inadequacies and weaknesses, you will continue to listen to my words and will one day soon embrace the messages of heavenly hope at Holy Love Ministry. I hope, with all my heart, that you all will realize the validity and desires of God for Holy Love Ministry to be a part of your holy mission before Him. I pray with all my heart for the salvation of the world for this intention. That your hearts will open and blossom before The Lord. Like little wildflowers gently dancing in the springtime field to the delight of God the Father. We all only have “so much” time to be graced to walk this earth. We all are created beautiful—beautiful creations—in the Eyes of God. But, whether we carry that beauty forward into eternity, is up to us and our free-will choices in this lifetime. Earthly life is a test for our eternal destination upon our own passing. It is up to each of us to make the better choice. To cooperate with the graces that we are given in each and every present moment. I pray that the light of grace will enlighten your holy path today. In this very moment and always. One of my favorite pastimes is to sing to Our Lord. I love to sing love-songs to Jesus. Little did I know then that St. Cecilia is the patroness for music… She became my Confirmation Saint a year or so later. I find that Jesus Is very amusing in how He arranges the coincidences in my life. When I go to church, I am oftentimes very cognizant that I am surrounded by the angels and the saints in heaven. During Mass, most of the time, I spend my time in prayer with my eyes closed. For me, keeping my eyes closed helps to keep my attention focused on heaven. Sometimes, I’ll think about the celestial choir of angels flying above me in a beautiful array, singing to God. And so, I will actively join my voice in song with the angels. But, even when I am not at Mass and I am simply singing alone at home, sometimes, I ask the angels and saints to sing with me, too. Moses in heaven and me on earth, singing together, to Our Lord. And it was very beautiful to me, the love I felt for God in my heart at the time—it moved me to tears. And, subsequently, every time, I would sing the song, “Here I Am” to God, I would get a strong impression to ask Moses to sing with me. Then, it was only a few months later that I finally realized why Moses loved that particular song so much. Because those words, “here I am,” were the first words that Moses responded with to God at the burning bush at Mt. Sinai. Yes, that is Jesus and His coincidences. Oh, how much I love My God! I once wrote to you all pondering the thought of whether Jesus sings? I wondered if all of Creation began as a beautiful song between God the Father and His Son in the love of the Holy Spirit? I don’t know if that is how Creation began… But, it is a lovely thought to think about. Currently, I have three secular love-songs on repeat. They are three of some of my favorite songs to sing to Our Lord. Because they speak of marital bliss and, ultimately, happiness in God. I am not married. And, because I have given my life over to The Lord, I will never have the opportunity to “walk down the aisle” on a beautiful wedding day as young ladies often dream about. But, Our Lord reminded me at Mass one time, that every Sunday is an opportunity to “walk down the aisle” to Our Lord, the ultimate and true love of our lives. And so, I take great care each time that I approach The Lord for Holy Eucharist. Because I love Jesus so much, I try to imagine every Holy Communion as a brand-new wedding day for me. And I will thank God for the presence of every person celebrating at that Mass. Then, as I “walk down the aisle,” I will pray in unity with the Blessed Mother and all the angels and saints at Mass for the Blessed Mother’s intentions. I will thank Jesus for saving all our lives and I will also thank Him for the poor souls from purgatory, who are also walking down the aisle beside us, about to enter Heaven. As it brings me such great joy to know that souls are joining God at that Mass for the first time forever falling in love with Him in Heaven. Finally, I will say a Glory Be to God and “I love You, Lord,” before I take a Eucharistic kiss from My Lord. I began this writing with a recent quote from Our Lord through Holy Love Ministry. In the quote, Jesus exhorts us to ‘Be the Message’ – so that others will accept the invitation to live their lives united in Holy and Divine Love. Society often advertises, ‘Be yourself’ by challenging oneself to be all one can be—independent and free from others. Yet, Jesus challenges us to be the opposite. To forget about oneself and to instead live for others. To be dependent on God and have ultimate freedom in Him. Who is right? Obviously, it is God. But, what does it exactly mean to ‘Be the Message’? I have been mulling over this thought tonight, as I have written this love-letter to you all, while also, singing my love-songs to Jesus, of course. This I know: I cannot be more than the person I am at this moment. I rely on God’s grace—whether I acknowledge Him or not—to be alive at this very moment. Also, I know that the keystone to the Holy Love Messages is living in the present moment. Because the present moment is all that is guaranteed to us by God. What do I mean by ‘present moments are slipping away’? Let me explain. Every Sunday, each of us as good Catholics partake in Holy Communion to be with Our Lord. But, how many of us realize that we are “walking down the aisle” first? Sometimes, we get so wrapped up in the future moment of being able to take Holy Eucharist, we forget about all the ‘present moments’ preceding the special moment, and as a consequence, our preparation is not as strong as it should have or could have been. We lose the present moment of grace for ourselves, because we are so tied to the future which has not been given to us yet. Yet, God Is not asking us to live solely for the future—even if we see the future as a glorious moment of partaking in the Holy Eucharist—rather, God Is asking us to live in the ‘Eternal Now’ in which He dwells—because the present moment Is His immediate gift of love to us. My brothers and sisters in Christ, I may not make it to my next Holy Eucharist. I may never see the great evangelization that is sure to come in the future through Medjugorje. But, I do know that I have this present moment to change the world now. “Here I am, Lord,” says Moses. “Here I am, Lord,” says me. The opportunity is here. The opportunity is now. To change the world for a better future. Oh, my dearest brothers and sisters in Christ! How precious is the present moment to Our Lord! Oh, how I hope that you all will embrace this present moment in time! Can you say to Him now, Our Beloved Lord, “here I am”? I AM Yours, My God! How sweet must be the words of a soul’s continual fiat in love to Our Lord! I wish you all the most sweetest blessings from my heart to yours, my dearly beloved family in Christ! May God bless you and keep you all safe in His Arms for all things! May the Blessed Mantle of Our Lady cover you always and draw you closest to the Love of God as your hearts forever entwine with the Divine Heart of The Father! I love you all! God bless Medjugorje! My dearest family in love, I am inspired by My Love tonight to tell you a story that happened to me this past Sunday, September 25th. As typical with me, I was passing my time singing love-songs to Our Lord… And then, I looked up at the clock and realized that I was going to be late to Sunday Mass. So, since I was not properly dressed for the day, I scrambled to throw on clothing in order to be presentable for The Mass. As for my usual wardrobe, I wore my favorite gray sackcloth-like dress and black pants for church. All the while, I kept recognizing the vanity in my soul for even being so preoccupied mentally with my clothing, as I also recognized the constant bombardment of vain thinking was being prompted by the evil one. And so, that was my Mass experience last Sunday. An entire hour focused almost exclusively on myself as I could not concentrate on the holiness of the hour at hand. It was awful to confront the ugliness of my pride during that Mass. I could not believe it. I was so stupid. “No one can serve two masters. He will either hate one and love the other, or be devoted to one and despise the other. You cannot serve God and mammon. Firstly, I realized that the journey of faith in life is oftentimes so much like my experience with my dress at Mass. Oftentimes, we step forward on our walk towards The Lord, only to get bombarded by temptations and all the negativisms of life, that makes us feel like we going backwards by the choices we make. Yet, all along, while we are thinking that we are heading in reverse or circles spiritually, in fact, truly, we are ever moving constantly forward towards God, never missing even a step. For, if we never faced the temptations of sin in life, we would never be able to appreciate the progress we finally do make spiritually in the love of God. It takes the darkness of the night to recognize and appreciate ever better The Light of The Coming Day. Thus, God never abandons us. We may not feel His Arms around us all the time, but He always has His Hand in ours. Just like the famous poem, Footprints, reveals to us. He carries us to Himself always—most especially in our darkest moments—because we are His children and He Is Our Beloved Father. The Father loves each of us unconditionally. He only asks our love and trust in all matters in response to His Gracious Love. And secondly, I realized evermore the importance of the present moment. So, I learned keenly the lesson of persistent humble prayer and, simply, trying my best to live each present moment in the love of God and neighbor. Which are some of the themes of the heavenly messages given at Holy Love Ministry. Thirdly, I realized that we must become like the wildflowers of the field who live for solely for God’s Glory. The wildflowers who are clothe in His splendid beauty of Truth and Love. The wildflowers who are totally reliant on Him for their daily nourishment and life song. These days, so many of us are worrying about the future and what may lie ahead. The answer is not to worry, but trust. Trust always in Him Who provides for all things from His Loving Paternal Heart. And as I feel all these messages are relevant and important, I have included them at the end of this love-letter for your discernment at this particular time. Oh, my sweet brothers and sisters, I am also reminded of how when I was a child that I did some volunteer work with the AIDS Memorial Quilt. For those who are not familiar, in 1987, the AIDS Memorial Quilt was conceived to remember the lives of those lost to the AIDS pandemic. Each block (section) of the Quilt is 12 square feet in size and comprised of eight individual three foot by six foot panels sewn together. In total then, there are more than 40,000 colorful panels that each memorializes the life of a person lost to AIDS. Well, I am reminded of my volunteer experience, because as the heavenly messages show at Holy Love Ministry, The Divine Will of The Father and our collective future is liken to a huge patchwork quilt. Each of us has our own life stories in the master story of HIS-STORY. The threads that comprise our own stories are the virtues and precious present moments that we have given over to The Lord in love of God and neighbor. And together, we are woven and intertwined as One Family in God, from the beginning to the end of time. The Divine Will of The Heavenly Father exists throughout time. There is never a precious moment in which Our Father is not present to us in His Love. The key and answer to all the present-day worry about the future lies in each present moment lived in unconditional love. Lasting peace—the type of peace that exists in our souls and sustains us through all of life’s troubles—is only achievable through sincere and hopeful prayer to God. Oh, my dearly beloved brothers and sisters in Christ! The only way to fight the impending onslaught of evil is with Love—love in, from and through God! With so many who are fearful of the future, so many souls are lacking the spiritual compass that they need to navigate this particular time. So many souls are lacking true spiritual peace in their souls, so much so, that the gift of peace that should be theirs moment-to-moment from God, is instead replaced with and fraught with constant worry and a sense of foreboding evil in their souls. Truly, it is time now. We must recognize that today, right now, our spiritual compass for this particular time is being given to us all at Holy Love Ministry. We, as the family of God, have to rediscover the joy of prayer—prayer from the heart. We need to rediscover how to pray unceasingly from the heart moment-to-moment, in imitation of Our Blessed Mother. We need to learn how to turn to God for all of our needs, not just some of our needs. We need to learn true trust in and total dependence and abandonment and surrender in God. If our hearts are truly in the love of God and abide constantly in His Love, then each moment-by-moment becomes a true joy and we are at peace because the most important thing—our salvation—is secure in Him. Those who worry and are constantly living in the future are forgetting the God that loves them in the here and now. The God Who Is constantly besides them and Is whispering to them in every present moment, I love you; do you love Me? The crux of the Divine Mercy Message is the words, Jesus, I love You, Jesus, I trust in You! We should be replacing every moment of worry with the prayer from our lips: I love You, Jesus! I trust in You! If we only truly realized that each present moment of our lives is a true gift from God… If we only truly realized that each moment given back to Our Lord is all that really matters… If we only truly realized that the gift of our moment of time is how we demonstrate our free will love for God… How much this world would change for the better as we demonstrate true reciprocity in unconditional love. We would be strengthened—as one united family—in the love of God and His Holy and Divine Will. The threads of our little hearts would intertwine with the Greater Heart of Our Lord creating a great tapestry of Love and Hope for the future. In my heart, I wish that I could change this world and the direction it is headed. That is why I persist in my love-letter writing because I am compelled by Love to do so. But, I cannot stop the evil that wants to begin to rule in the world. I am just one individual—one soul—who loves Our Lord and Our Lady. And that is the same for each of us. There are six visionaries at Medjugorje and I know that they pray very much and live very holy lives. But even them, they are just six individuals—just six chosen souls—who love Our Lord and Our Lady very much. Even they, individually, cannot stop the evil that wants to begin to rule in this world. The six visionaries cannot “carry” the Medjugorje message by themselves to the entire world. And so it goes for each of us, whether we are faithful followers of Our Lady and Our Lord or chosen prophets, etc., none of us individually can stop the evil that wants to begin to rule in this world. It Is Jesus Who Saves; not us, not me. And so, oftentimes, I forget that it Is Jesus Who Saves, not me. Because I love Him so much in my heart, I want so much to give Him the world in return for His Love for me and humanity. Oh, my brothers and sisters in Christ, I love you all so much. You are my beloved family, so close to God. Oh, how I wish that I could convince you of The Truth of the Holy Love Messages. Oh, how I wish that we could be One United Family of God, in Holy and Divine Love, Together in union with Jesus, healing this wounded world! But, I am just one soul and no matter how certain I may be in my discernment of this, each of us has free will, and so, each of you and collectively so also, need to discern for yourselves The Truth of The Way of Salvation that has been given to us by Jesus at Holy Love. So, I hope and I pray and I trust. And I love. I especially live in love for you all. I will continue to write to you all as My Love directs me so. God bless you always, my beloved family in Christ. I love you very much. Jesus and Blessed Mother are here with Their Hearts exposed. This really bothered Him and He questioned the LORD about it. LORD you said that once I decided to follow you, you’d walk with me all the way. But I have noticed that during the most troublesome times in my life there is only one set of footprints. I don’t understand why when I needed you most you would leave me. Good and devout souls, who walk in the light of the Holy Spirit, I do not think you will mind my giving you this little mystical rose tree which comes straight from heaven and which is to be planted in the garden of your soul. It cannot possibly harm the sweet-smelling flowers of your contemplations; for it is a heavenly tree and its scent is very pleasant. It will not in the least interfere with your carefully planned flower-beds; for, being itself all pure and well-ordered, it inclines all to order and purity. If it is carefully watered and properly attended to every day, it will grow to such a marvelous height, and its branches will have such a wide span that, far from hindering your other devotions, it will maintain and perfect them. Of course, you understand what I mean, since you are spiritually minded; this mystical rose tree is Jesus and Mary in life, death and eternity. Its green leaves are the Joyful Mysteries, the thorns the Sorrowful ones, and the flowers the Glorious Mysteries of Jesus and Mary. The buds are the childhood of Jesus and Mary, and the open blooms show us both of them in their sufferings, and the full-blown roses symbolize Jesus and Mary in their triumph and glory. A rose delights us because of its beauty: so here we have Jesus and Mary in the Joyful Mysteries. Its thorns are sharp, and they prick, which makes us think of them in the Sorrowful Mysteries, and last of all, its perfume is so sweet that everyone loves it, and this fragrance symbolizes their Glorious Mysteries. So please do not scorn this beautiful and heavenly tree, but plant it with your own hands in the garden of your soul, by making the resolution to say your Rosary every day. By saying it daily and by doing good works you will be tending your tree, watering it, hoeing the earth around it. Eventually you will see that this little seed which I have given you, and which seems so small now, will grow into a tree so great that the birds of heaven, that is, predestinate and contemplative souls, will dwell in it and make their nests there. Its shade will shelter them from the scorching heat of the sun and its height will keep them safe from the wild beasts on the ground. And best of all, they will feed upon the tree’s fruit, which is none other than our adorable Jesus, to whom be honor and glory forever and ever. Amen. It is beautiful to know that when one prays to Our Blessed Mother, that we are honoring in Her, The Incarnation of Jesus, Her Divine Son, in Her Immaculate Womb. How Blessed Is The Fruit of Her Womb, Jesus! Jesus, in Whom All Goodness flows and All Salvation becomes possible through The Cross. The Cross, which is the new Tree of Life, and Jesus Is Its Fruit. The Fruit that opens Its Core, The Heart. Its Most Sacred Heart. And from This Fruit, from Its Most Sacred Heart, comes forth The Book of Life. The Book of Life, in which is inscribed the names of the holy children of God. Jelena of Medjugorje asked Our Lady about the meaning of her vision. She saw Jesus being held by the hand by Mary. There were many words written on the arm and palm of Jesus’ hand. Jelena could read the inscription, “Glory,” on the palm of Jesus’ hand. As revealed earlier by St. Louis de Montfort, the fertile ground of our souls is seeded by our faith. And from our faith, in our hearts springs forth the mystical rose trees that blossom and bloom exquisitely beautiful roses in response to our fidelity to prayer. In a similar manner, the hearts of our souls are like little books—little books which render truthful testimony of our lives lived in love of God and neighbor as self. Our hearts are our living testimony to The Truth and our living in The Truth, The Great Commandments of Love. Now, in my studies of the Christian faith, I have always been fascinated with the subject of names. Since the beginning of time, mankind has been given the divinely-derived gift of being able to bestow names on his fellow creatures and things of Creation and one another. It is a holy and very special gift that God grants to us as our portion of our inheritance to His beloved family and as a share as co-creators with Him on earth. And throughout salvation history, God has had a tradition of changing names of individuals significant to mankind’s redemption story made possible by Jesus. And when we are baptized, each of us is adopted with a new family surname—The Holy Name of The Father and of The Son and of The Holy Spirit. So, the symbolism behind and meanings of any given name for an individual has always intrigued me in general. And, in particular, since I first returned to the universal church, I have always wondered what the meaning is of the Holy Name of Mary. For Mary is Our Lady and Our Heavenly Queen and as the Blessed Mother has been so instrumental in me renewing my Catholic faith. Yet, one of the most important names of all of human history—Our Blessed Mother Mary—has had the meaning of Her Holy Name lost to the annals of time on earth. The traditional meaning of Mary is lost to mankind. And so, upon learning this sad historical fact, I told myself, that on the day, that I would see Our Blessed Mother face-to-face in heaven, I would ask her the meaning of Her Holy Name, so that I would never forget it and would honor it always in my heart. And when I read this message through Medjugorje, it made me overjoyed to finally know the meaning of the Holy Name of Our Beautiful Queen and My Mother. It was quite a joy. So, this made me overjoyed, too, to recognize and know for certain now that Our Blessed Mother, Mary, IS Holy Love. That Her Holy Name had been reserved by God throughout all eternity to be known as “Love” and, in particular, in this present day, as “Holy Love” as revealed through Holy Love Ministry. Mary is Most Holy. Mary is Love. Mary IS Holy Love. This realization was and continues to be so profound to me. Open our hearts to The Immaculate Heart of Mary, The First Sacred Chamber of the spiritual journey of The United Hearts of Jesus & Mary, The Way of Salvation to The Divine Heart of The Heavenly Father as provided for at Holy Love Ministry. I was in deep prayer before Our Lady and Our Lord. Thus, in deep prayer, The Holy Spirit inspired me to pray for every man’s name to be written in gold in The Most Sacred Heart of Jesus. The Holy Spirit inspired me to understand that The Most Sacred Heart of Jesus IS The Book of Life. For, just as The Cross is the new Tree of Life, Jesus IS the fruit of the blessed womb of the Immaculate Virgin Mary. Jesus IS thus the new fruit of the new Tree of Life, The Cross. And as books come from trees, The Book of Life IS The Most Sacred Heart of Jesus that comes to fruition on the new Tree of Life, The Cross. And from the passage of time, in my own faith journey, I also have come to realize that just as every book needs to be opened in order to understand the truth of its writings, so, too, must we open our own hearts, which give testimony of our life and love in God, to Jesus for His Truth to be written in them, as it is written in His Most Sacred Heart. “Jesus, enter into each heart. Knock on the door of our hearts. Be patient and unwearied with us. yet understood Your love for us. In the above consecration prayer, it has been revealed to me that our hearts are the “books” of our own lives—our living testimony of our lives for or against God—that Jesus wants us to open totally and completely to His Love. So, that our hearts become His Own and our names can be written in His Book of Life, His Most Sacred Heart. The Book of Life that came to be through His Passion on the new Tree of Life, The Cross. It has been my sincerest hope that one day, when I am before My Love, that I will have His Most Holy Name written in my own heart and He will have my name in His. So, that together, our hearts will become One. One may ask how is it possible for one to open our hearts to Jesus, so that He may dwell in our hearts and we may dwell in His? The answer is The Way of Salvation as provided for us in the spiritual journey through The Most Sacred Chambers of The United Hearts of Jesus and Mary as given through Holy Love Ministry (holylove.org). In the spiritual journey, The First Most Sacred Chamber of Our Lord’s Heart IS The Immaculate Heart of Mary. As revealed at Holy Love Ministry, the first step into the spiritual journey of The United Hearts of Jesus and Mary, is entry into the antechamber, the first chamber of The Most Sacred Heart of Jesus. This first chamber is The Immaculate Heart of Mary, otherwise known as “Holy Love,” as revealed also at Medjugorje in Jelena’s prayer to God. The Holy Flame of The Immaculate Heart of Mary is a purging flame that rids us of our most serious glaring faults and grievous sins. This Holy Flame thus purifies us to make us fit for the next stage, entry into the second chamber of The Most Sacred Heart of Jesus. This second chamber is known as Divine Love. Taking the first step into The Immaculate Heart of Mary requires much humility and self-surrender, because it requires genuine on-going conversion of the heart. It is not simply making a good confession in the Sacraments. No, rather it requires an on-going commitment to convert and change every present moment of our life, as we seek to become a living Holy Tabernacle of Prayer burning in love always with Our God. “I am your Jesus, born Incarnate. with goodness, Show us Your love for us. that we may have a continuous desire for You. Remember us when we are in sin. You know that all men sin. to be healed from every spiritual illness. the flame of Your Heart. Amen. Our Lady has said many times at Medjugorje for each of us to pray, pray, pray. Few, however, realize that The Blessed Mother is calling us to pray in every present moment of our lives. Because for many people, prayer is not a joy, but they do so out of duty or obligation. They never enter into the beauty of praying to Our Lord—Who Is The First Love of our hearts. Jelena’s prayer group thought they could stop saying the prayer to the Holy Spirit, thinking Our Lady only wanted it said until Christmas. Jelena tells Our Lady that if she tells the people to pray four hours a day they will back out. “I cannot speak to you. Your hearts are closed. The path to holiness is not a passive journey. To pursue holiness requires us to actively say ‘yes’ to God in each and every present moment of our lives. To choose not to sin and instead to seek holiness—virtue, love—in every present moment of our life. It is much better to say one Hail Mary prayer with much love and devotion in one’s heart, with the full knowledge that we are addressing The Queen of Heaven and Earth, who listens besides us every time we pray to Her, then to pray an entire rosary out of rote memorization and routine. My brothers and sisters in Christ, I am a poor choice for one on how to teach someone else to pray, because I had to learn on my own how to pray to God. But, The Holy Spirit taught and guided me, and now, it is because of the love I have in my heart for all, that I am trying to show you how to pray to God. How to pray without ceasing. One must imagine prayer first as taking baby steps. Baby steps that lead to walking. Then from walking to running. All the way home. If one sets aside time for prayer, this is a good thing. But, those are only the initial baby steps. Because true prayer from the heart is not dictated by an appointment of time with Our Lord. If one is truly in love with someone, one thinks of that person constantly—all the time—and tries to seek to please that person in all things. True heart-to-heart prayer is conversational with Our Lord. Sometimes, one gets so busy counting the beads on the rosary, that we forget to “look up” and smile at Our Lord and Our Lady Who are standing right there, listening to us “converse” with them. Sometimes I will pray before a Crucifix, imaging Our Lady standing besides me, and us praying together to Her Son, Jesus Crucified, on The Cross. Because my single prayer might make the difference for some soul between life and death in this world. I pray mentally when sitting, standing, walking, etc. Most people will not realize that I am praying throughout my day, as I pray silently to myself as much as I can. Unnoticed by others, except to God in my heart. And I love to sing. For hours and hours, I can sing to Our Lord. I will imagine My Jesus sitting on His Throne, right in front of me, listening to me pour out my heart in song to Him. Oh, how I love to make My Love smile in songs of praise. I cannot speak more plainly on how to pray without ceasing… It is an experience that someone must choose to do—each moment of the day—to live in the Light and Love of God—seeking holiness by living the virtues every moment of our life. Prayer without ceasing is a day-by-day, moment-by-moment choice, to live each present moment in love of God. Anything and everything that pulls someone away from living the present moment as a gift given to God should be discarded. Worries and anxieties associated with the past and future are unproductive because they prevent us from living in The Eternal Now, in which God dwells. Eternal life begins now—abiding in love and peace now—our souls living to please God alone. And desiring to pray without ceasing only happens once we commit ourselves to the path of holiness, by seeking forgiveness of sins from God—again and again—as the purging Holy Flame of The Immaculate Heart of Mary burns away all our iniquities from our souls. The reason why Our Lady cries in telling us that our hearts are still closed is because once we seek the first baby step of forgiveness for our sins in Confession, we fail to take the next baby step, by seeking holiness in each present moment of our life. We fail to truly convert to God and seek His Divine Will in all matters. Conversion is a continual, on-going process that must take place each present moment of our life. One cannot say that they are converted because they think of God during a set time in the morning and a set time at night. What happened to the majority of the time in between? Whose “will” was followed? God or man? It is the Divine Will of God that we pray without ceasing to Him and be perfect as Our Heavenly Father Is Perfect. It is simply very hard for someone to pass into heaven directly, living totally in The Divine Will of God, if they spent the majority of their time on earth not dwelling in God’s Presence. I am not a saint. I am a poor sinner. And I can safely say that I do not pray without ceasing. It is hard to do this all the time. Especially in this hell-bent world. But, it is what we are called to do. This is the Call to Holiness. We are called to sacrifice our own will for the sake of others and God. To love selflessly and unconditionally. To love as Christ loves each of us. And so, purified by The Holy Flame of The Immaculate Heart of Mary, in the first Sacred Chamber from all serious sin, a soul then moves into the second Sacred Chamber of The Most Sacred Heart of Jesus, thus answering The Universal Call to Holiness. This Universal Call to Holiness requires a greater surrender of one’s will to God. It is in this second Sacred Chamber that a soul begins to understand that his own will is directed by what he holds in his heart—love of God and neighbor, or love of self. The value of each present moment becomes alive to the soul as one realizes the more present moments given over to God, the more God freely pours His Love and Peace into his heart. Thus, the present moment gains true lasting value to a soul as it then becomes a great opportunity to show love to God by practicing the virtues on others. Each present moment becomes a precious gift that a soul wants to give again and again for love of God. It is then in the third Sacred Chamber of The Most Sacred Heart of Jesus that the practice of virtue becomes a defining aspect for the soul. It is in the third Sacred Chamber that a soul, now rooted in Holy and Divine Love, puts all his effort into being perfected in the virtues. The soul practices the virtues diligently, praying for an increase in virtues in his soul. And when God sees a worthy effort, God infuses the soul with these virtues. Thus, the third Sacred Chamber is known as the journey into perfection—perfection in all virtues, perfection in love. This then leads to the fourth Sacred Chamber of The Most Sacred Heart of Jesus, which is the minimum level of happiness for all souls in heaven. The fourth Sacred Chamber which can also be achieved here on earth, but for which so few souls strive for in this lifetime—it is Sanctification in Our Lord. “Do not let your hearts be troubled. You have faith in God; have faith also in me. Jesus said to him, “Have I been with you for so long a time and you still do not know me, Philip? Whoever has seen me has seen the Father. How can you say, ‘Show us the Father’? Do you not believe that I am in the Father and the Father is in me? The words that I speak to you I do not speak on my own. The Father who dwells in me is doing his works. Believe me that I am in the Father and the Father is in me, or else, believe because of the works themselves. Amen, amen, I say to you, whoever believes in me will do the works that I do, and will do greater ones than these, because I am going to the Father. And whatever you ask in my name, I will do, so that the Father may be glorified in the Son. If you ask anything of me in my name, I will do it. “If you love me, you will keep my commandments. And I will ask the Father, and he will give you another Advocate to be with you always, the Spirit of Truth, which the world cannot accept, because it neither sees nor knows it. But you know it, because it remains with you, and will be in you. “I will not leave you orphans; I will come to you. In a little while the world will no longer see me, but you will see me, because I live and you will live. On that day you will realize that I am in my Father and you are in me and I in you. Jesus answered and said to him, “Whoever loves me will keep my word, and my Father will love him, and we will come to him and make our dwelling with him. Whoever does not love me does not keep my words; yet the word you hear is not mine but that of the Father who sent me. “I have told you this while I am with you. The Advocate, The Holy Spirit that the Father will send in my name—he will teach you everything and remind you of all that [I] told you. “Peace I leave with you; my peace I give to you. Not as the world gives do I give it to you. Do not let your hearts be troubled or afraid. “You heard me tell you, ‘I am going away and I will come back to you.’ If you loved me, you would rejoice that I am going to the Father; for the Father is greater than I.
I began this love-letter by sharing how The Most Sacred Heart of Jesus IS The Book of Life. And how, in similar manner, our own hearts are like little books—books of living testimonies of how we each lived our lives for or against God—little books that need to be opened so that The Truth can be written in them, as our names are written in The Book of Life—The Most Sacred Heart of Jesus. Also, in a similar manner, our hearts can be likened to be a dwelling place, a house, and a chamber. It is interesting to note that “chamber” can be defined in many ways, such as a dwelling room of a house, or a compartment of the human heart. In the Gospel of John, Chapter 14, one reads that The Way of Salvation that Jesus Is calling us to follow, its foundation is built upon The Two Great Commandments: love of God and love of neighbor, in which there is no place for love of self. Living The Two Great Commandments in every present moment, is how we come to know The Heavenly Father, and is the only way to To Be Perfect as Our Heavenly Father Is Perfect. The most surest and most swiftest way to The Divine Heart of The Heavenly Father IS the spiritual journey provided to us by Heaven through The United Hearts of Jesus and Mary as revealed through Holy Love Ministry. We must continually open the chambers of our own hearts to Our Lord so that we can meet Jesus and His Heavenly Father, who live within the most deepest, most secret inner chamber of our hearts. The spiritual journey is one of holiness and perfection in love and goodness. As each of us works out our own salvation with fear and trembling before The Lord, seeking the inner chamber of our hearts in which we will be united with The Divine Heart of Our Heavenly Father, should be our ultimate spiritual goal. I know that for myself that I have not reached this spiritual goal. But, it is The Goal that I strive for and long for each day. I strive for and long for to be obedient to God’s Holy and Divine Will for me. This is why I continue to write these love-letters to you all. Because I can only see good fruit resulting from this endeavor, for [Unnamed Party], and for the world. Because I have seen and witnessed this good fruit in my own life. May God continue to bless Medjugorje! 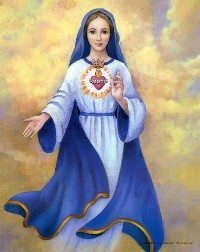 Our Lady is calling each of us to “open our hearts” to The Way of Salvation as provided for by Jesus at Holy Love Ministry. Will you answer Her Call? (Our Lady again calls us to open our hearts to The First Chamber—The Immaculate Heart of Mary, which, if pursued, will lead us to unity in The Divine Will with The Heavenly Father, The Final Chamber of The United Hearts of Jesus and Mary; Our Lady is also again calling us to continual conversion—to prayer without ceasing by following the example She set forth by Her Life). (Our Lady again calls us again to pursue The Spiritual Journey of The United Hearts of Jesus and Mary. This spiritual journey has also been called by heaven to be known as “the way of salvation, holiness, perfection, and sanctity.” The first step is the First Chamber—The Immaculate Heart of Mary, in which our serious sins are purged by Her Holy Flame. Then the second step is continual conversion—prayer without ceasing—a life lived anew and differently, directed towards final unity with The Divine Will of The Heavenly Father). It was stated that Mirjana believes that Our Lady was showing the difference between a clean heart and an unclean heart. Mirjana also stated that Our Lady blessed all our religious objects and prayed for priests. (Our Lady again calls us to open our hearts to The First Chamber—The Immaculate Heart of Mary, which, if pursued, will lead us to unity in The Divine Will with The Heavenly Father, The Final Chamber of The United Hearts of Jesus and Mary. Our Lady is also again calling us to continual conversion—to prayer without ceasing, which is Jesus being given to us “anew” as we pursue the path of holiness at Holy Love; Our Lady is also giving Jesus to us “anew” by directing us to His good works at Holy Love). There are two stories in Holy Scripture involving Jesus and a blind beggar. Now as he approached Jericho a blind man was sitting by the roadside begging, and hearing a crowd going by, he inquired what was happening. They told him, “Jesus of Nazareth is passing by.” He shouted, “Jesus, Son of David, have pity on me!” The people walking in front rebuked him, telling him to be silent, but he kept calling out all the more, “Son of David, have pity on me!” Then Jesus stopped and ordered that he be brought to him; and when he came near, Jesus asked him, “What do you want me to do for you?” He replied, “Lord, please let me see.” Jesus told him, “Have sight; your faith has saved you.” He immediately received his sight and followed him, giving glory to God. When they saw this, all the people gave praise to God. So a second time they called the man who had been blind, and said to him, “Give glory to God; we know that this man is a sinner.” He then answered, “Whether He is a sinner, I do not know; one thing I do know, that though I was blind, now I see.” So they said to him, “What did He do to you? How did He open your eyes?” He answered them, “I told you already and you did not listen; why do you want to hear it again? You do not want to become His disciples too, do you?” They reviled him and said, “You are His disciple, but we are disciples of Moses. We know that God has spoken to Moses, but as for this man, we do not know where He is from.” The man answered and said to them, “Well, here is an amazing thing, that you do not know where He is from, and yet He opened my eyes. We know that God does not hear sinners; but if anyone is God-fearing and does His will, He hears him. Since the beginning of time it has never been heard that anyone opened the eyes of a person born blind. If this man were not from God, He could do nothing.” They answered him, “You were born entirely in sins, and are you teaching us?” So they put him out. Jesus heard that they had put him out, and finding him, He said, “Do you believe in the Son of Man?” He answered, “Who is He, Lord, that I may believe in Him?” Jesus said to him, “You have both seen Him, and He is the one who is talking with you.” And he said, “Lord, I believe.” And he worshiped Him. And Jesus said, “For judgment I came into this world, so that those who do not see may see, and that those who see may become blind.” Those of the Pharisees who were with Him heard these things and said to Him, “We are not blind too, are we?” Jesus said to them, “If you were blind, you would have no sin; but since you say, ‘We see,’ your sin remains. I will tell you, my dearly beloved family in Christ, that I have very poor eyesight. I wear thick glasses and if it were not for such modern inventions, I would be cast out with the poor, to be a beggar, if I lived in olden times. I am very grateful for my vision. Even as a child, I was very thankful for my sight. In particular, I remember being given an assignment in school to write down one wish for the world. I wrote down that I wanted the blind to see. At the time, I was referring to physical blindness. But, as I have come to grow in my faith, I have realized that spiritual blindness is a handicap far greater than physical blindness. For, spiritual blindness is far more serious, because it affects the soul. It can lead to spiritual death. I have written that my confirmation saint is St. Cecilia. She is my patroness because I admired her fervent faith and deep abiding trust in God and her martyrdom. Little did I know at the time, that St. Cecilia is far more well-known for being the patroness of music. So, I am quite blessed to have a patroness that I can look up to for inspiration in my life and in my prayer-life, particularly, in song. She encourages me a lot. “Cecilia” means “way to the blind,” and I like to think that my sister in love leads me in life so as not to be spiritually blind but to always see the Light of Christ in all people, situations, and things. Another dear sister in love of mine is St. Philomena. She was a young martyr of the faith, who is a great role model for me. I love her so tenderly. “Philomena” means “daughter of the Light,” being derived from the Latin word for “light” that also has the meaning for “eye, clearness, and understanding.” And in my mind, her name, St. Philomena, is so closely linked to my patroness, St. Cecilia, as her devout life and young martyrdom witnesses to others, so they may see with their spiritual eyes, with clearness and understanding, the Light of Her Beloved Spouse, Jesus. Oh, how I love my saintly sisters! Now, the reason why I bring up two of my favorite sisters to you, is to share my hope and dream for Holy Love to spread throughout the world—to the ends of the earth—so, that all will live and abide in the Peace of The Lord. I pray for, and in unity with the saints of heaven, for spiritual blindness to end in this world. For The Light of Christ to shine so brilliantly in our souls—so much so that our love of God will never fade and will always be foremost in our hearts. That all souls will choose God and live totally His Holy Commandments of Love—love of God and love of neighbor as self. And these simple words from Jesus, Our God, struck me so profoundly, because I thought to myself, if there is anyone who should be a beggar, it should be me, not God. Yet, here is My God begging me for His affection. For His love to reside in my heart, and so, in turn to give that love to others in the world. I had to reread these chosen words over and over again, as they so affected me. My God, Who has everything and needs nothing, Is a beggar before me. A beggar for my love. It brought tears to my eyes. Has the world become so spiritually blind that Our Great and Awesome God, Our Lord, Our Glorious King and Master, has to beg for our affection now? And are our hearts so cold and indifferent than we can no longer grasp the magnitude of Our God needing to beg for love from us? This is a tragedy to me. My Jesus is now a beggar like the blind man at the side of the road at Jericho. My sweet Jesus, My sweet Jesus, the beggar, is now pleading with all of humanity to turn back to His Most Sacred Heart. But, who is listening to His Heartbeat? Who is tending to His Open Wound? I will tell you, my brothers and sisters in Christ, when I read this message from God the Father, it really affected me, too. The Most Sacred Heart of Our Lord Is an Open Wound that keeps getting larger and larger as more grievous sin takes place in the world. How can the Most Sacred Heart of Our Father heal when we keep assaulting it with sin upon sin? When we match Pure Love with hatred? The simple answer is that it cannot. The Open Wound of Our Father’s Loving Heart cannot heal if we do not apply the remedies of prayer and sacrifice to nurse it back to health. My brothers and sisters, my beloved family in Christ, oh, how I love you all! Please do not allow Our Blessed Mother, Our Beloved Jesus, or Our Most Tender Father, to beg any further from this generation the affection and love needed now. It breaks my heart, to even know how they humble themselves to become beggars for our love. Please… Our Blessed Mother Is Our Hope of Salvation, but my sweet family of God, we, Her children in the world, ARE the hope of Our Blessed Mother. We are the hope of the Mother of God for this world to change for the better. Please, answer Her Call. Her Call at Holy Love Ministry. Have the faith to believe with sight unseen. Simple trust of a child. I beg you all so much with love in my heart. As I have become closer to Our Lady in prayer, I have received many kernels of wisdom that Our Lord has provided to me. It has always been a challenge for me to live a life of “continual prayer.” As St. Paul exhorts us, we should “pray without ceasing” and I have tried in so many ways, to live this command, with very little success. It is so easy in our humanity, to “give up.” To think this is an impossible request and task of The Lord. But, I have learned, through Our Lady, that She offers a “lighter” and “less burdensome” path if we only open ourselves to Our Lady’s help and support in prayer. Truly, Our Lady is Our Blessed Mother and She IS the way par excellence to Our Lord. Our Lady is the Way to the Way of The Lord. I once read a longtime ago in mystical revelation that all Christians, including those who are not Catholic, pray with Our Lady. That, despite acknowledging Our Blessed Mother’s intercession, every prayer passes through Her Hands. And that little revelation of Divine Truth stayed with me, even though, I didn’t understand what it meant until now. As I have shared in earlier writings, the Blessed Mother is TRULY Our Mediatrix of Grace. For every grace flows from Our Lord through Our Lady through Her Hands to us on earth. And I also realized that when we ask for intercession from The Saints, that holy grace flows from Our Lord through Our Lady through The Saints to us on earth. So that, Our Lady “has a hand” in every grace dispensed to us, whether we acknowledge it or not. Well, The Lord has enlightened me tonight to understand that Our Lady is not just our conduit of grace, but that She is also TRULY our conduit of prayer. Let me explain. I understood the theological concept that Our Lady is Our Advocate. That, for example, when we pray the “Hail Mary” prayer that Our Lady is listening to us and praying alongside us to The Heavenly Father and Her Divine Son. I could understand easily enough that role of Our Lady being a prayer advocate. However, as I have become closer to Our Lady through prayer, particularly, in the Rosary of the Unborn (holylove.org), Our Lord has granted me more insight to more fully understand this special role of Our Lady as Our Advocate. Revealed by Our Lady, Queen of Heaven, at Holy Love Ministry, the Rosary of the Unborn is a very special rosary has been given to us to overcome and triumph over the evil of abortion. Consisting of Precious Blood of Our Lord and the Precious Teardrops of Our Lady, with every “Hail Mary” prayer said lovingly on each of its beads, a precious unborn child is saved from abortion. Said faithfully, and with genuine love, over 50 babies can be saved from abortion each time this particular Rosary is prayed to God and Our Lady. It is a very special treasure straight from Heaven and should be used by all in their daily devotions. And, so, after reading a very powerful heavenly message given on October 7, 2014, through Holy Love Ministry, I realized that my efforts of praying 5 Mysteries of the Holy Rosary (50 Hail Marys) each day was not enough. I realized quite urgently that I needed to redouble my efforts tenfold, if I was going to assist Heaven in saving unborn infants from abortion and mitigate and perhaps temper God’s Divine Wrath. So, I asked myself honestly, how many Hail Mary’s could I do in a day? A thousand? Eight hundred? Some days, I prayed over 600 Hail Marys (over 3 complete rosaries). Others, I averaged about 200, or at the very least, 100 Hail Marys a day. So, I was making daily progress, but not as grand as a 1000 unborn babies… This made me sad. But, The Lord was very kind to me. Whenever I felt discouraged, He would remind me of the “Starfish” story that I read many years ago that always stayed with me. There once was an American who was on vacation in Mexico. One early morning, he went to the beach and saw hundreds of starfish washed up on the sand. And the elderly man looked at him thoughtfully for a bit. Then, he picked up another starfish, looked at it in his hands for a moment, then he threw the single starfish back into the ocean. And so, through this constant reminder of the “Starfish,” it uplifted me to keep trying to save as many unborn infants as I could through daily Rosary prayer. You see, Our Lady is Our Advocate. As every prayer passes through Our Lady’s Immaculate Heart, She makes each prayer, each good deed, every sacrifice, even more beautiful in Our Lord’s Eyes. Each of our efforts, which might seem little to offer and of little value to us, become purified, magnified, and beautified, through Our Lady. So, that, every prayer is not only acceptable to Our Lord, but exquisite and ever-lovely to Him. So, even if all we have to offer are “prayer fragments,” whether they be “half-said” prayers, or prayers said with much distraction, etc., if we offer them willingly to Our Lord with much love, Our Lady can move mountains of grace with them. And so, this is what I have been trying to do. Offering what little I can, with much love for the unborn infants, so Our Lady can save lives. I have only come recently to know the beauty of a daily regimen of praying the rosary. But, praying the Rosary of the Unborn has opened truly my eyes. I work fulltime in a secular world, so yes, it can be difficult to fit in 50 Hail Marys, let alone, 600 a day, or 200 a day… But, working on one “Starfish” at a time, I pray silently at my work cubicle in unison with a prolife rosary CD and my headphones. And simply knowing that even my “prayer fragments” are helping Our Lady to save unborn children, I am persevering in this daily task for love of Our Lord. I’ve always wanted to be able to “pray without ceasing.” In the past, I’ve always used music to strive for this elusive goal. This is because music, as the great saints have revealed, is like “praying twice” and it keeps me focused in the present moment without too much distraction. So, in the past, singing songs to The Lord has always been my mainstay passion and primary focus of my prayer-life. Sadly, the rosary was a devotional prayer that I always hoped to love, but was always challenged in doing. It is only now, through truly persevering through daily use of the Rosary of the Unborn, to save unborn infants, that the rosary has brought my prayer-life more into focus and into sharper clarity. And knowing that Our Lady is my personal prayer partner and prayer advocate has made a difference in my spiritual life. If Our Lady is helping us with every prayer we say when we do not acknowledge Her presence and Her help, how much more grace and impact there must be if we actively ask Her to pray with us each moment of everyday? Oh, my brothers and sisters, it is liberating to truly know and acknowledge with our hearts that Our Lady is with us every moment in everyday, assisting us all we can to give glory to God every moment in our lives. In Her, all my prayers, all my deeds, and sacrifices and sufferings are truly purified and magnified. Truly, everything, if I turn it over to Our Lady, Our Mother, is put to good use. Nothing, no prayer, is ever wasted. And so, all my victories in temptations and against bad thoughts become abundant fruit for Our Lady, as She rejoices in me and with me, over my triumphs over sin and evil. She shares in me, Her joy and delight, as I live my life for the glory of God. All the moments that I used to spend alone without much thought or reflection, now, get turned immediately over to Our Lady, by offering her my day and my life. I may not be able to “pray without ceasing” on my own merits, but in The Lord, with Our Lady’s help, I can do all things through Him Who strengthens me. I may not be able to “pray without ceasing” by myself. But, I know who can. Our Lady. Oh, Blessed Mother, Our Blessed Queen, My Fair Lady! I want my life to be a continual hymn of praise, love and devotion, to Our Lord. I want my life to be one continual prayer to Our Lord. So much so, that even in my silent moments, my heart beats in praise to Him, Who Is My Creator, My Redeemer, My Master, My One and My All. Blessed Mother, I don’t have much to offer. But, whatever I have, I give it all to you. Make my prayers, my words, my thoughts, my deeds, my sacrifices and my sufferings ever-more beautiful and ever-more pleasing to God. Blessed Mother is here as Our Lady of Grace. She is framed by the Rosary of the Unborn. As I sit listening to sweet love songs for My Lord, I contemplate how beautiful the ‘simple things’ are in life. And as I think of these ‘simple things,’ I am reminded of how church bells are rung in joyful celebration of a new marriage, when a couple takes each others’ hands before The Lord in the blessed union of wedded love. And as I thought of how beautiful an image that is, My Lord reminded me of how at the Most Blessed Consecration of The Holy Eucharist, the church bells ring again as Our Lord comes to us in the most humble appearances of the Consecrated Holy Bread and Wine. So, as the church bells ring and the chosen one, the priest, pronounces the sweet heavenly words that bring forth The Holy Spirit to overshadow his person—this is similar to how The Holy Spirit overshadowed the Blessed Mother to bring forth The Christ Child into the world. For, at that moment, at the Annunciation, the Blessed Mother became the wedded Spouse of The Holy Spirit, likewise, the priest renews his nuptial vows to The Lord at every mass, in the Most Blessed Consecration of The Holy Eucharist, at the wedding altar of the church. So that, at the very moment of The Most Blessed Consecration, it is the priest’s sacrificial offering of his whole self and being, in mystical union with The Love of his life—The Heavenly Father, The Divine Son, and The Holy Spirit—comes the ‘fruit’ of Their Blessed and Holy Union, which is Jesus to each of us awaiting in the pews. How Awesome Is the Love of Jesus for each us in The Holy Eucharist! For, in those precious moments in time when we unite ourselves to Our Lord in Holy Communion, we, too, step into the same mystical union made present to us by the priest and was first given to the Blessed Mother at the Annunciation. We become ONE with Our Lord. ONE in marital bless—united with the ultimate love of our lives, too. For, just as “a man leaves his father and mother and clings to his wife, and the two of them become one body,” (Genesis 2:24) so it is that Jesus comes to each us from His Heavenly Father, through the hands of the priest, to cling to each of us in Holy Communion as we become one body with Our Lord. How holy and precious is the vocation of a priest of The Lord! The first father of his family, his children—the congregation, in imitation of Our True Father in Heaven. And as a loving and good father, the priest spares us nothing, emptying himself all of self, to bring us all ‘good things,’ especially Jesus, as we grow and are nurtured by him in our faith. May God bless us all in our priests! Holy, holy, holy Is The Lord! Thank You, My God, for the gift of them! And so it is, through our fathers, that each of us, children of the Light, gains our precious salvation and enduring hope in The Lord. For, as Revelation reveals, we, as the Body of Christ, as the Church and as the Bride of The Lord, become through our first fathers, a royal kingdom of priests, set aside for Our Heavenly Father, Our God. So, let us rejoice and be glad and give Him glory, on each Sunday, the wedding day of The Lamb. Let us wear “a bright, clean linen garment” for our righteous deeds, as we present ourselves for Holy and Blessed Communion, in order to become a Holy Tabernacle of Love, spouse of Our Lord for those precious moments in time. Indeed, the church bells are ringing. Hallelujah and Amen.